Each year in June, the world’s biggest games are revealed by the likes of Microsoft, Sony, and Nintendo. The “Electronic Entertainment Expo” — “E3” for short — takes over the Los Angeles Convention Center every year for one week, and the world learns a ton about the next year in video games. Inevitably, every year a bunch of that news leaks ahead of time. Such is the case in 2016. 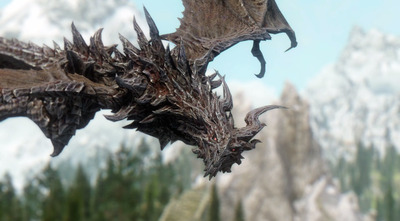 YouTube/UnrealSkyrimThis dragon is very excited about new video games, obviously. Bethesda, the publisher of massively popular games like “Fallout 4” and “DOOM,” is holding its own press conference this year, and the bulk of what’s being unveiled may have just leaked. IGN has a solid roundup of the leaks. Bethesda Game StudiosI want Macho Man in a remastered ‘Skyrim,’ but I doubt it will happen. The biggest game coming from Bethesda may actually be an old one: a remastered version of the excellent and wildly popular “The Elder Scrolls V: Skyrim.” This new version for PS4 and Xbox One supposedly features enhanced visuals, all of the additional downloadable content for the game and, most impressively, mod support. “Skyrim” has one of the most active modding communities around, and the Xbox One version of “Fallout 4” just got mod support, so this rumour is pretty plausible. 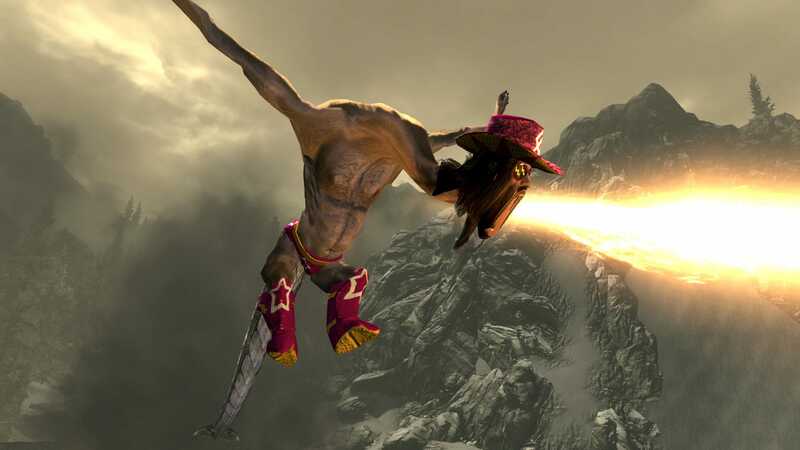 However, due to legal complications, we probably won’t get the mod that turns dragons into “Macho Man” Randy Savage. Bummer! Re-mastered games aren’t enough, of course, so what else is Bethesda bringing to E3? According to those leaks, plenty of sequels! 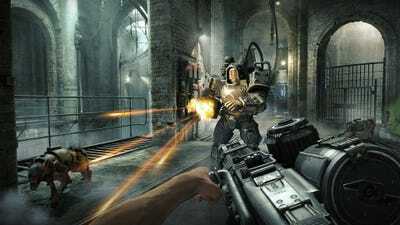 “Wolfenstein: The New Order,” an amazing game about taking down the Nazis in an alternate timeline where they won World War II, is apparently getting a sequel. Sweet! There’s also supposedly going to be a sequel to “The Evil Within,” a cinematic horror game that’s picked up something of a cult following since it came out in 2014. Finally, we might see more of “Prey 2,” a neat looking sci-fi shooter that generated a ton of buzz back at E3 2011 before going totally radio silent in the years since. The leaks suggest it’s been reworked and has a new title. Well, “new consoles” is a bit of an exaggeration. 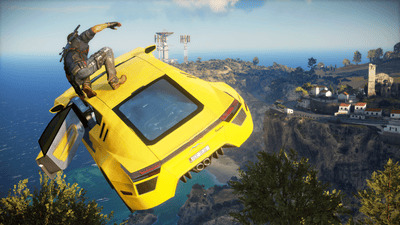 Both the Xbox One and PS4 have had trouble running sprawling, complex games like “Just Cause 3” and “Fallout 4,” leading to talk that both consoles are underpowered. Sony and Microsoft are, apparently, looking into releasing beefed up versions of their consoles. Avalanche‘Just Cause 3’ is crazy in a good way, but it was a little too crazy for the PS4 to handle. Better graphics capability, meaning all PS4 games will need to ship with a “base mode’ and a better looking “Neo mode” to please all consumers. Support for ultra-high 4K resolution, despite the fact that no games run natively in 4K and relatively few people have 4K televisions. This is probably a way for Sony to future-proof the PS4 for when 4K becomes more widely adopted. A smaller, cheaper model of the existing Xbox One that will be released later this year, with no significant new features. A new Xbox One, codenamed “Scorpio,” to be released in 2017. This one has much higher graphics capability, and might work with the Oculus Rift VR headset, which currently requires a powerful, expensive PC to use. It’s a new version of the Xbox One and not a whole new console. If you were planning on buying either a PS4 or Xbox One in the near future, we suggest you wait until after E3 to find out what, specifically, is happening to both consoles. It’s possible the consoles on store shelves now will be made obsolete by this time next year, if rumours are to be believed. It wouldn’t be the week before E3 without some blurry images of posters, and we’ve got a good one for you. ThisGenGaming got the scoop earlier this week that “Dead Rising 4” is in development, and it may have an exclusivity deal with Xbox. In case you’re unfamiliar, “Dead Rising” was one of the best early Xbox 360 games, a zombie apocalypse adventure where players could freely roam an entire mall and use almost any object as a weapon to take out the undead. The two sequels weren’t quite as warmly received, but the good news is it sounds like this game is something of a reimagining of the original. 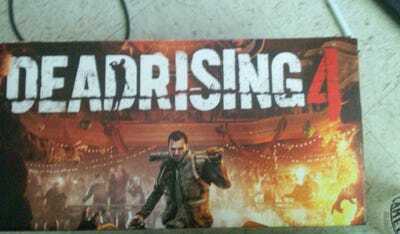 Rumour has it that it stars Frank West, the protagonist of the original game, and it takes place in the same mall. “Dead Rising” was a unique, goofy and all around fun time, and a new game that hearkens back to the first would definitely be welcome. This will, in all likelihood, be part of Microsoft’s E3 showcase, so be on the lookout for that. “Watch Dogs 2” was officially unveiled. Set in a gorgeous recreation of the San Francisco Bay Area, players can use their in-game hacking skills to disrupt the infrastructure of the city itself, pilot drones, and use 3D-printed weapons to take down corrupt tech companies that are spying on citizens. The DC Comics-based fighting game “Injustice: Gods Among Us” is getting a sequel. “Injustice 2” is from the makers of “Mortal Kombat,” and it pits heroes like Batman, The Flash and more against each other in competitive fighting action. Like every year at E3, it will be exciting to see which of those other rumours turn out to be real, and which ones managed to hoodwink us into reporting on them. Here’s to hoping we can return to the world of “Skyrim” soon!